According to Jonathan Schettino, coordinator of anxiety and depression services at Towson’s Counseling Center, ten percent of college student have thought about committing suicide. “On a campus like Towson where there is 22,000 students that means 2,200 students have had suicidal thoughts,” Schettino said. At 1,100 deaths each year, suicide is the second leading cause of death among college students. 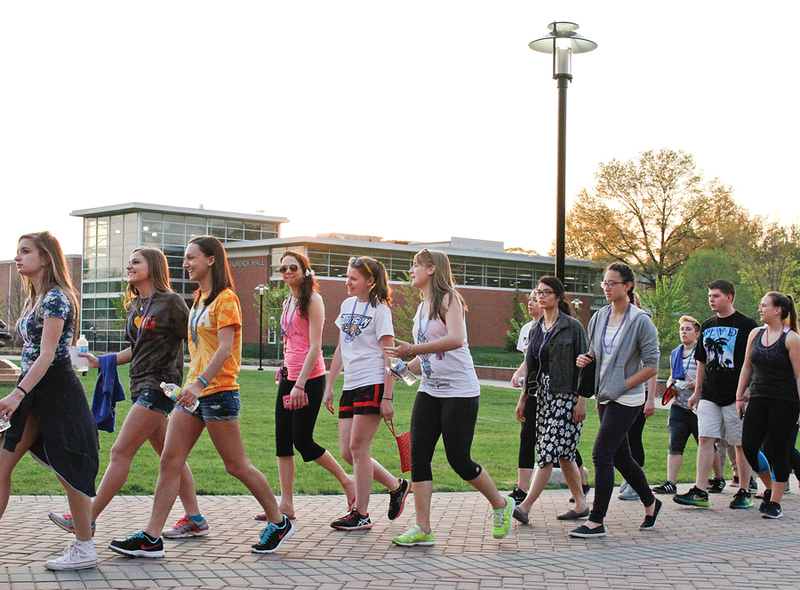 In order to bring attention to the importance of suicide prevention, Towson University Counseling Center partnered with the American Foundation for Suicide Prevention and hosted the Out of the Darkness Walk on Sunday, May 3. 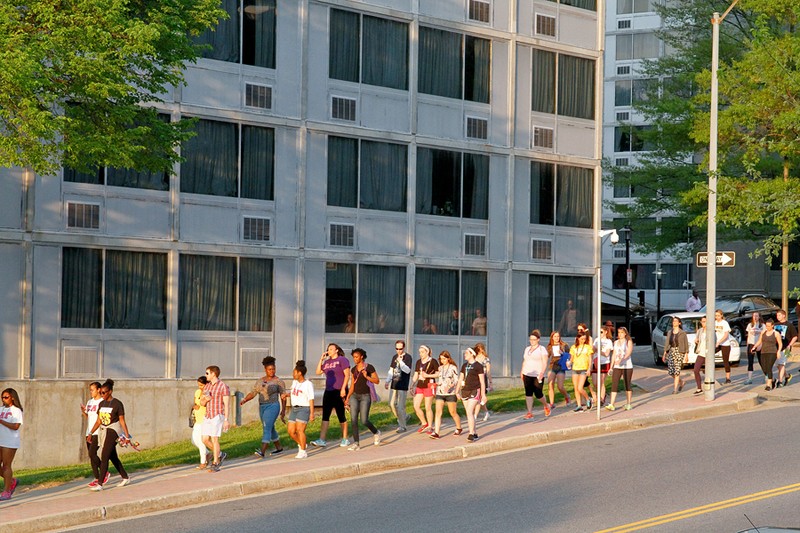 The walk brought students together to raise money and show the importance of understanding the seriousness of suicide. The goal for this Out of the Darkness walk was to raise $5,000, and with preregistered walkers they raised $4,500, although they were hoping to reach their goal with walk-ups according to Schettino. “We feel it is important to get the word out about this [and] support public health concern to raise funds for research for prevention and awareness,” Schettino said. There were also tables at the walk for other student groups that share similar goals as AFSP and the Counseling Center, such as the Active Minds student group. Schettino hopes that students who participated in the event walked away with a better understanding of importance of suicide awareness and the ability to have open dialogue about suicide.